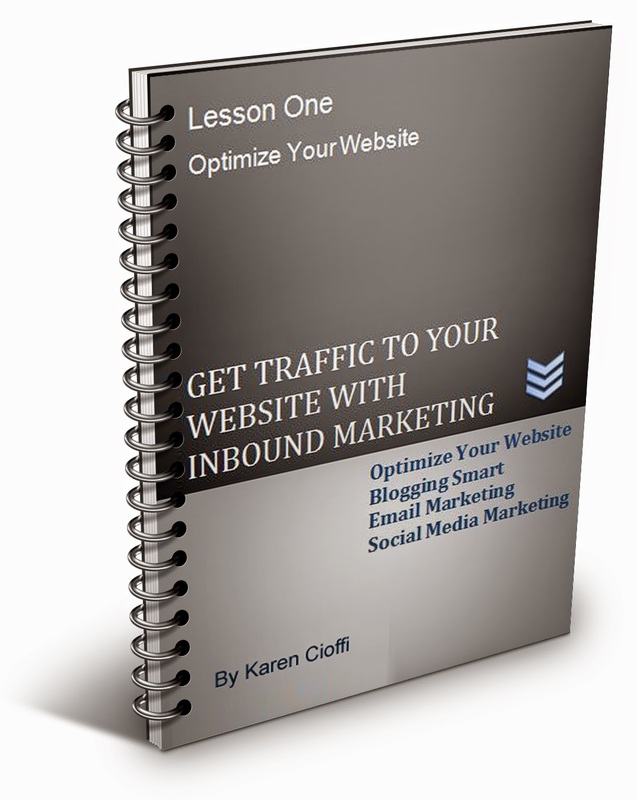 Most likely all of you know what inbound marketing is - it's the method of bringing traffic to your site by offering content. Today's guest post is by marketing expert Penny Sansevieri and she explains just how you can find out what your reader wants. 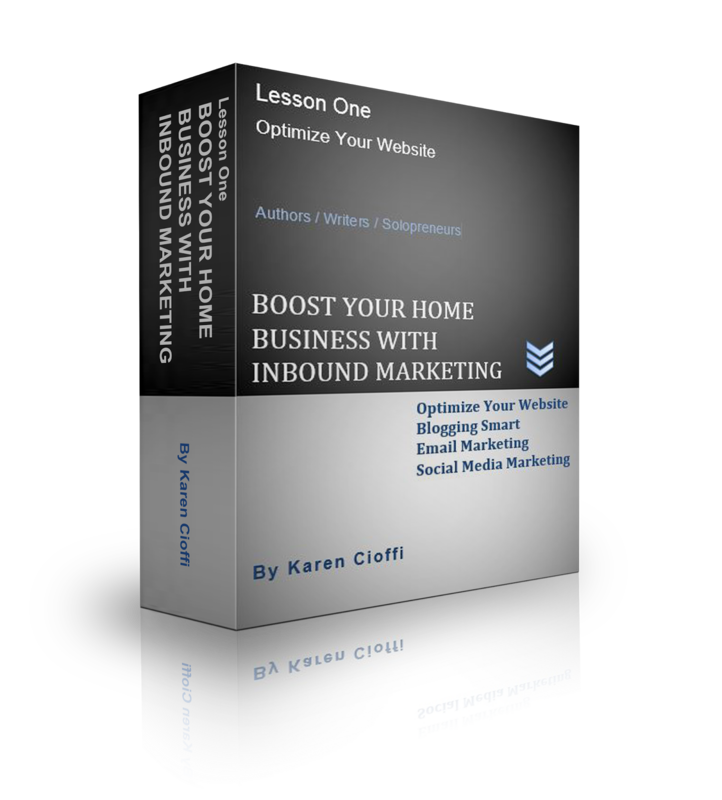 Inbound Marketing Rocks! Now What? So at this point, you probably all know that Internet/inbound marketing is not only the wave of the future, but the best way to sell yourself, your book, your product, or your service. So maybe you're on Twitter, Facebook, you might even have a blog that you keep updated but if it feels like nothing seems to be meshing. Before you plug in another tweet, take a moment to step back and really focus on who you're tweeting to. The point really of a good inbound marketing campaign is to bring consumers "in" and you can't do that if they don't care about what you're saying. How can you determine what your reader wants? Well, ask them. If you do a lot of speaking events, or any at all, you probably get questions. I find that audience questions can really help to seed ideas, meaning that the Q&A portion of any author event is often a great resource to gather the needs of your market. There are other ways that you can figure out what your reader wants, the first is to stay current. You can do this by subscribing to blogs, following industry leaders on Twitter or getting Google Alerts (which you should do anyway). Getting Google Alerts for your keywords is a great way to see who's writing what about your market. 1) Measure effectively: in order to know if stuff is working you'll need to measure effectively. Here are a few ways to do that: Retweets on Twitter: the best sign of success on Twitter is the amount of retweets. Are you getting them and if so, how often? If your tweets are good and your followers are active, you should see a few a week at least (depending on the amount of followers you have). 2) Site hits: are the hits to your site increasing? Are you watching your analytics to be sure? If you're not, you should be. Watch your site stats closely and monitor the increase in traffic and where it's coming from. 3) Inbound links: how many new ones are you getting? Did you do a vanity search before you started this campaign? If not, do that now. Make sure you know how many new incoming links you're getting as a result of your efforts. 4) Sign-ups to your mailing list: are they increasing? If you're doing the right stuff in your social media they should be increasing weekly. Finally, before you launch headfirst into any marketing campaign, be sure and set some clear goals. For example, you might ask yourself, what are your goals are for Twitter? If it's just about gathering followers then you are missing a big piece of this social networking tool. For many marketing people it's all about the number but numbers don't make as much sense unless they are driving interest to you and your book. If the numbers keep growing along with traffic to your website then you're on the right track. But if you're just growing numbers for the sake of being able to say that you have 10,000 followers then it makes no sense. That's like buying a fancy car you can't really afford. Eventually the debt of it will drag you down. It's the same with Twitter and Facebook and any other social media site. It's not about the numbers. It's about the activity. In another issue, we're going to look at the specific marketing tools available to you online. We'll take an in-depth look at Twitter, Facebook, and YouTube. For now, find your message and determine your goals! Today I have a guest post from award winning author and expert marketer, Carolyn Howard Johnson. So, get out your pen and paper, or just copy and save this informative article for your personal use. Adapted from the multi award-winning Frugal Book Promoter. In the world of publishing as in life, persistence counts. If course, there is no way to keep a book at the top of the charts forever, but if you keep reviving it, you might hold a classic in your hands. 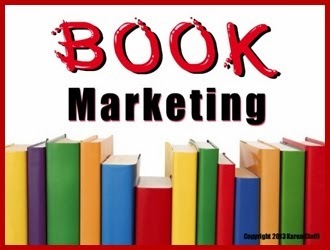 Or your marketing efforts for one book may propel your next one to greater heights. Here are a few keep-at-it ideas. *Run a contest on your Web site, on Twitter, or in your newsletter. Use your books for prizes or get cross-promotion benefits by asking other authors for books; many will donate one to you in trade for the exposure. Watch the 99 Cent Stores for suitable favors to go with them. *Barter your books or your services for exposure on other authors’ Web sites. *Post your flier, brochure, or business card on bulletin boards everywhere: In grocery stores, coffee shops, Laundromats, car washes, and bookstores. *Offer classes in writing to your local high school, college, or library system. Publicizing them is easy and free. When appropriate, use your own book as suggested reading. The organization you are helping will pitch in by promoting your class. The network you build with them and your students is invaluable. Use this experience in your media kit to show you have teaching and presentation skills. *Slip automailers into each book you sell or give away for publicity. Automailers are envelopes that are pre-stamped, ready to go. Your auto mailer asks the recipient to recommend your book to someone else. Your mailer includes a brief synopsis of your book, a picture of the cover of your book, your book’s ISBN, ordering information, a couple of your most powerful blurbs, and a space for the reader to add her handwritten, personal recommendation. Make it clear in the directions that the reader should fill out the form, address the envelope, and mail it to a friend. You may offer a free gift for helping out, but don’t make getting the freebie too tough. Proof-of-purchase type schemes discourage your audience from participating. *Send notes to your friends and readers asking them to recommend your book to others. Or offer them a perk like free shipping, gift wrap, or small gift if they purchase your book for a friend. That’s an ideal way to use those contact lists you’ve been building. *While you’re working on the suggestion above, put on your thinking cap. What directories have you neglected to incorporate into your contact list? Have you joined any new groups since your book was published? Did you ask your grown children for lists of their friends? Did you include lists of old classmates? *Though it may be a bit more expensive than some ideas in this book, learn more about Google’s AdWords and AdSense. Learn about these opportunities on your Google account page. Many authors of niche nonfiction or fiction that can be identified with often-searched-for keywords find this advertising program effective. *Check out ad programs like Amazon’s Vine review service. You agree to provide a certain number of books to Amazon and pay them a fee for the service. Amazon arranges the reviews for you. It’s expensive, but it gets your book exposed to Amazon’s select cadre of reviewers who not only write reviews for your Amazon sales page but also may start (or restart!) a buzz about your book. *Connect and reconnect. Start reading blogs and newsletters you once subscribed to again. Subscribe to a new one. Join a writers’ group or organization related to the subject of your book. *Record a playful message about your book on your answering machine. *When you ship signed copies of your book, include a coupon for the purchase of another copy for a friend—signed and dedicated—or for one of your other books. Some distributors insert fliers or coupons into your books when they ship them for a fee. *Adjust the idea above to a cross-promotional effort with a friend who writes in the same genre as you. He puts a coupon for your book in his shipments; you do the same for him in yours. *Donate your book to contests run by other authors. In return they promote your book for you and provide links to your Web site or blog. Being inventive and flexible is key to a writer's success. While writing books may not make you wealthy, it is a calling card for other writing ventures that will help you supplement your income and possibly earn a living. One such money making writing strategy is creating and emailing an e-course. And, it's actually rather easy to do. The required tools: a substantial article or a report and an autoresponder. To explain how this works, I have a guest post by book marketing expert Penny Sansevieri. 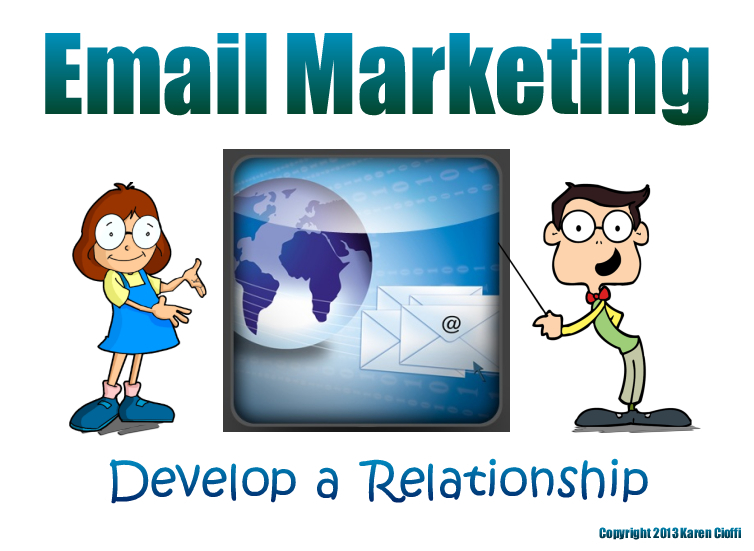 Quite simply, an autoresponder is a piece of software that enables you to send emails to people automatically. This doesn't mean that it writes the emails for you and it doesn't involve spam or sending unsolicited email. What it means is that you set up a sequence of prewritten emails that are sent out to prospects on your database at regular intervals. The importance of this cannot be underestimated. Time and time again Internet marketing gurus tell you that the money is in the list. This is not by accident. The online marketing specialists know that this is fact. The more people you have on a mailing list that are interested in your products or services, the more sales you will make. You can use an autoresponder to essentially send emails out to your prospect list, even when you're not at a computer. What you do is you create, let's say, a seven-part email course. Then you can set the intervals for the emails to, say, once a day and send them one part of the course each day. So you write the emails one time, and then anyone joining that list will automatically be sent those emails for the next seven days. This doesn't matter if you're online or if you're away from the computer. The emails will get sent automatically. The prospects also get added to the list automatically. And if they choose to unsubscribe, all of that is taken care of without you having to lift a finger. The main benefit to using an autoresponder is connected to the fact that the majority of people need to be told about a product seven times before they buy it. So I want to ask you, how many times are you telling your visitors about your product on your website? Chances are it's less than seven. They'll land on your homepage or somewhere else on your website and they'll look at your offering, but the majority of your sites visitors will disappear. Unless you can get them onto an opt-in mailing list, either a course or free information that is of multi-part format, the chances are you will have lost them forever. You can use an autoresponder to send these messages out to people with their permission convincing them and educating them about your product. Over the next few newsletters I'll be covering five steps built around this one simple idea - building a "money magnet" that will turn prospects into customers (sales) for you on a regular, automated basis. Stay tuned for the details! Tip offered by Susan Gilbert, AME's Search Engine Marketing Expert and Web 2.0 company owner, http://www.susangilbert.com/, which provides Social Networking websites and services. This 4-week e-class through WOW! Women on Writing covers: optimizing your website, blogging smart, email marketing, and social media marketing.